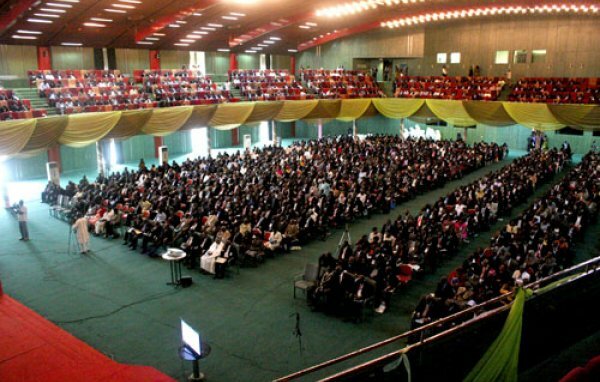 Abuja International Conference Center (AICC) has specialized facilities provided for use for both Government and public functions. AICC has many spaces (halls, gardens, etc.) for different events. 2 halls for wedding are: Abuja Hall – 600 banquet / 1000 theatre Africa Hall – 1000 banquet / 3000 theatre There is a lot of parking space available. 900 Herbert Macaulay Way, Area 11, Garki,, FCT, Abuja, Nigeria. 2 Yemi Shonoiki Street Street, Layout, Dutse Alhaji,, FCT, Abuja, Nigeria. along abj., Kashim Ibrahim Way,, FCT, Abuja, Nigeria. Adjacent Julius Berger Yard Utako Asokoro, FCT, Abuja, Nigeria. 1197 Katampe Cadastral, Zone B07, Opp Nicon Junction, FCT, Abuja, Nigeria. No 1, 89(A) 7 Road, Gwarinpa II, Abuja Model City, FCT, Abuja, Nigeria. No: 5 iller Cresent, Off Katsina Ala Street, Matiama,, FCT, Abuja, Nigeria.